HIT! 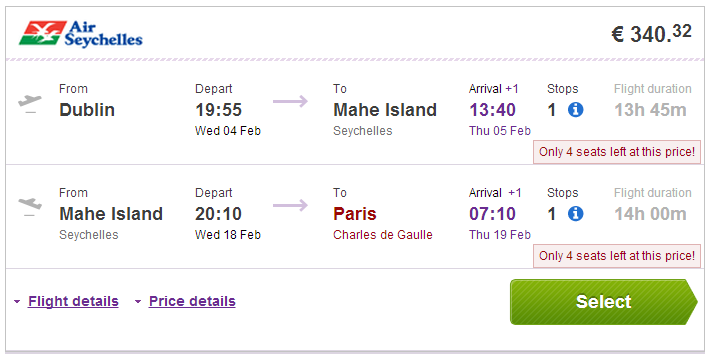 Super cheap flights to Seychelles: Mahe for only €320! UPDATE 24.10.: the price dropped again! Dublin – Mahe – Paris now available for only €320! Flights from January to July 2015, example date 10.2.-24.2., book now, check screenshot! 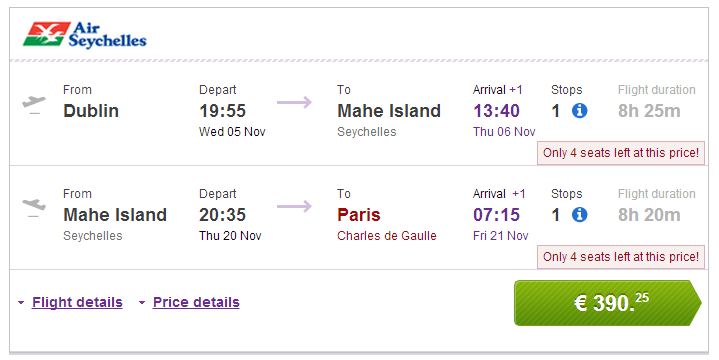 UPDATE 15.10.: now even better price for flights on route Dublin – Mahe – Paris: just €340! Travel dates from January until June 2015, for example 14.1.-28.1., 4.2.-18.2., 4.3.-18.3., 6.5.-20.5. . Book here, check screenshot. Air Seychelles now offer flights to Seychelles for one of the lowest price in the history. 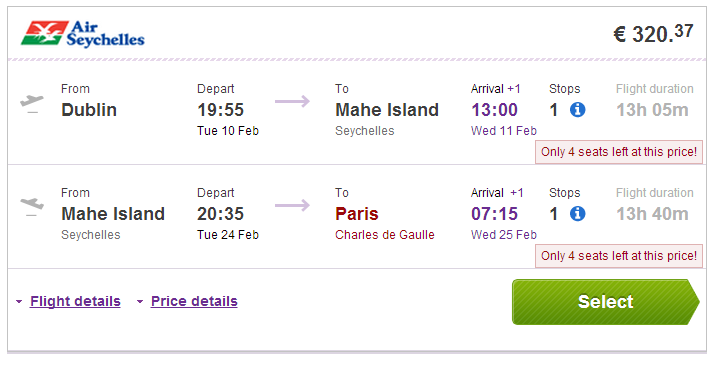 Multicity tickets Dublin – Mahe – Paris are available for only €390! This is amazing price because standard fares usually cost well over €1000 for return flight! Ryanair has cheap flights from Dublin to basically every major airport in Europe. Book via Budgetair to get this awesome price (click on Show extra search options to enter return to Paris)! 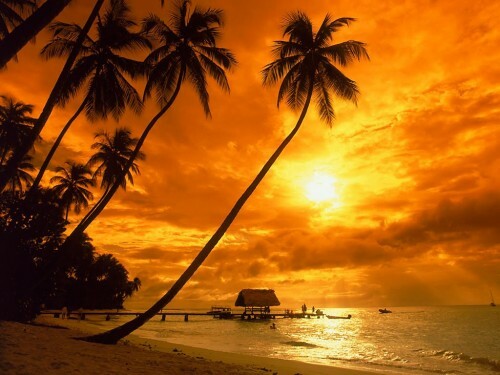 « Cheap flights to Thailand: Bangkok with Etihad for €369!